The connection between Music and Great War is a topic on which we have often discussed as a crucial feature in order to understand the psychological and cultural significance of WWI from the past till the present. We are pleased therefore to announce that an international conference in London will be devoted in August 2014 to the question. The initiative supported by the Oxford Research Centre in the Humanities aims to discuss all aspects of the musical activities during the First World War, gathering so scholars of different disciplines (history, musicology, anthropology, etc.) to investigate among other things how the Great War was translated and interpreted in the musical language and to discuss which role did it play for civilians and soldiers in boosting morale, in soothing the sorrow as part of collective rituals or in transmitting government propaganda. An international conference to mark the centenary of the outbreak of the First World War. Held as part of the British Library's Centenary events programme, supported by The Oxford Research Centre in the Humanities. Papers are invited for a two-day conference on the theme of music during the First World War. The forthcoming centenary of the war is a timely opportunity to reconsider the fundamental role of music and musicians during the exceptional circumstances of the period 1914–1918. The conference aims to provide a forum for discussion to explore the roles and uses of music during this extended period of worldwide conflict, considering why—against a backdrop of large-scale death and destruction—music mattered, whether as weapon, tool, or emotional catalyst. We welcome papers from scholars working in any discipline and which engage with any aspect of music-making during the war, whether on the home or fighting fronts, or in combatant or non-combatant countries. Proposals are invited for individual papers of 20 minutes, to be followed by 10 minutes of discussion. We also encourage submissions for themed panel sessions of three related papers. Proposals consisting of a title, abstract (max. 300 words), and short biographical note, should be submitted by e-mail to the organising committee at themusicofwar@gmail.com by 30 November 2013. For panel sessions, please include a 250-word (max.) summary of the session and up to 300 words for each session participant. Please include contact details and institutional affiliation (if any), along with details of anticipated AV requirements. Proposals should be in English only. The conference language will be English. The conference runs in tandem with the British Library’s Centenary Exhibition and will include a concert of music from the years 1914–1918, and wine reception. Full details of these and other conference activities will be made available on the conference website www.themusicofwar.org in due course. It is well known that Franz Kafka never took part in the conflict. His private and professional life – so as that of everybody living in the first decades of the last century – was however influenced by the WWI: newspaper and personal reports of acquaintances, the occasional meeting with soldiers, veterans and other civilians whose lives were upset by the war provided him constant information on the destroying force of the war. And yet we can scarcely find few direct annotations on the WWI in Kafka’s letters and diaries. Literature often refers to the his famous diary entry on 2nd August 1914, where the writer notes: “Germany has declared war on Russia. Went swimming in the afternoon”. A good example of macro- and micro-history, collective and personal existence which may be interpreted also as a radical shift from world events and the “banality” of the everyday life. Scholars have never been deceived by this - apparently detached - entry and often highlighted how deep Kafka’s works were influenced by the Great War. Analysis of his single masterpieces, starting from The Trial (written between 1914 and 1915, but published only in 1922) to the The Castle (1926), has proved how the Czech writer elaborated in his narrative creations the trauma of the WWI. We could spend days to talk about each one of these works, yet we suggest today to consider the connection between Kafka and the WWI from another point of view. Due to the lack of direct references in his private correspondence and in his personal writings, it is not clear how Kafka elaborated the indirect experience of the Great War in his life and in his works. We have only the results of this process: his novels. To explain the question, scholars have recently experimented other perspective of analysis, focusing for example the investigation on the cultural milieu in which Kafka lived and worked. We turn therefore to his city, Prague, a place that remains indissolubly connected to the spirit of Kafka. This is the starting point of a new collection of essays – part in English and part in German – entitled Kafka, Prague and the First World War (edited by Manfred Engel and Ritchie Robertson, Würzburg 2012), to which we would like to refer here shortly. The book, which collects the acts of an international symposium held in Oxford in September 2010, is organized in three section. The first one evaluates the historical context and discuss the particular situation of Prague, in order to understand how the Great War became a theme discussed in the city. Prague was in fact one of the most important city of the Austro-Hungarian Empire and embodied its multinational conflicts. The important Jews community and the Zionist movement influenced both Kafka and the cultural climate in which he lived. Prague breathed also the constant tensions between German and Czech culture, being a cultural centre of the former and the political capital of the latter. This aspect is discussed in the second section of the book, where the literary scene is analyzed referring for example to Max Brod’s novel Tycho Brahes Weg zu Gott, or to the “shell-shock” as a literary trope in Kafka’s and in Richard Weiner’s works. Four essays try to describe so how the war affected both the Czech and the German culture of the city. Finally the third part focuses on Kafka’s works, especially on those produced between 1916 and 1917 in the Alchimistengässchen and examines the distinctive kind of mimesis performed in the writings of the war-time. 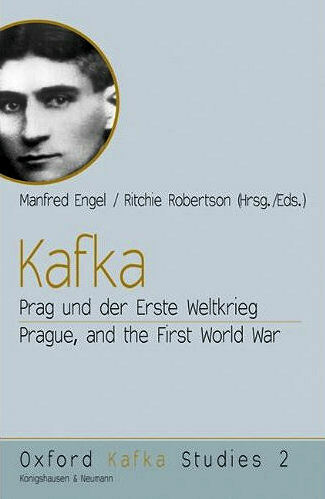 The book enable the readers to contextualize in an effective way the work of Kafka in the broader cultural and ethnical context of Prague and deserves therefore the attention of all those who are interested in the WWI literary legacy. Here above we offer the photo reportage related to the previously published itinerary "The Flower's Footpath on Adamello". We remind you that you can share your WWI reportages. Just write us using the contact form beside. We will be more than happy to send you the sheet with the image requirements and to give visibility to the present situation of other First World War landscapes different (and maybe far) from the Italian one. 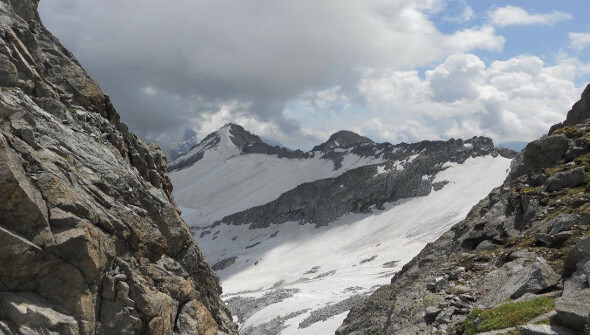 We have already recalled the strategic importance of the Adamello mountain range during the WWI when we described the itinerary to Rifugio Mandrone. Today we’d like to suggest another footpath on it: the Sentiero dei Fiori. Despite the easygoing name, the Flower’s footpath (Sentiero dei Fiori) is an itinerary for high expert hikers, which has to be undertaken during the summer in order to avoid ice and snow and only with excellent weather conditions. 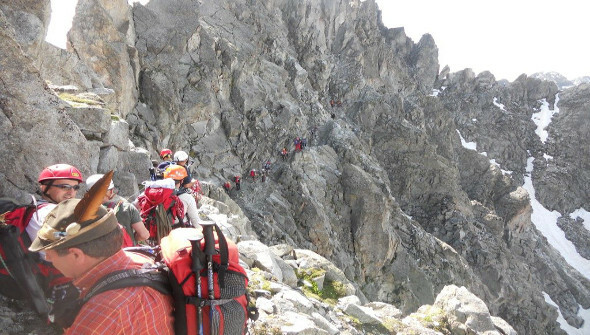 Experience and good physical shape is required because the circular itinerary is very exposed and takes about 6-7 hours. 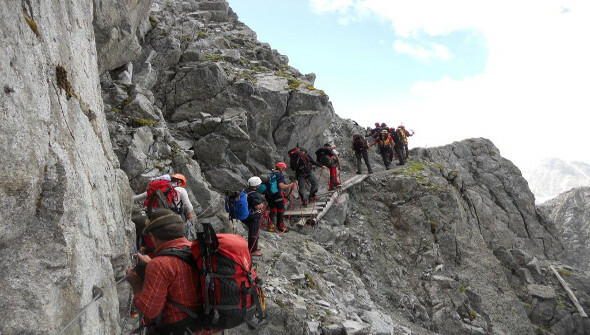 Besides the usual high-mountain equipment, you need therefore a via ferrata set, a helmet and a torch; crampons and ice axe are useful during the way back trough the Presena glacier. Above all you should not be afraid of heights: the path is in fact equipped with cables, ladders and hanging footbridges. Yet, if you walk on it you will enjoy the indescribable beauty of the landscape and observe along the road a great variety of alpine flower from which the track takes its name. 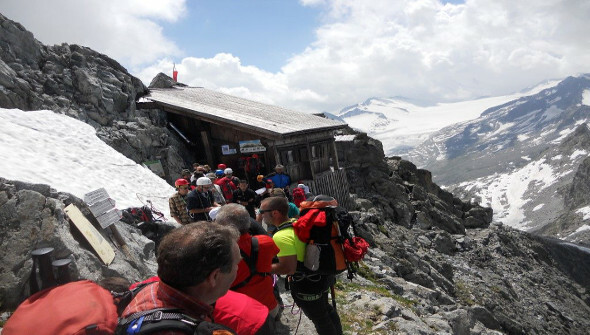 And for us not to omit, you get the chance to walk an old thrilling and poignant trail of the Great War and to experience so for few steps what really meant the Alpine War of the 1915-1918. 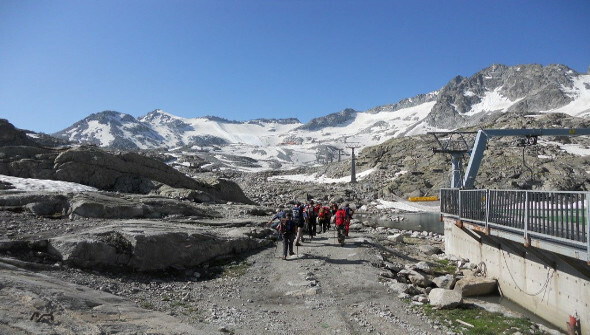 Starting point is the Tonale Pass. If you drive with direction Ponte di Legno about 400m, you will find on your left the cable car "Paradiso", where you can park. The cable car takes you in about 15 minutes to Paradiso Pass. 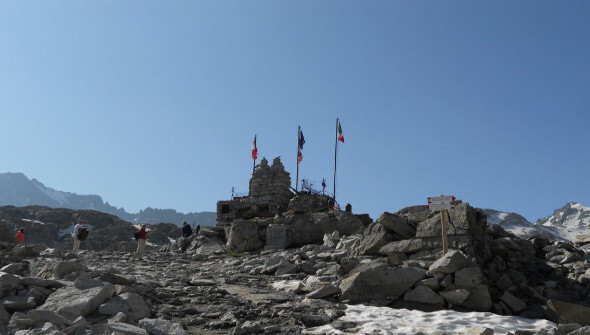 Please note that it works only during the summer time; alternatively opposite to the War Memorial at the highest point of the pass, a path winds up the cable car pylons to Passo del Paradiso; already in autumn it would however be probably impossible to continue to the Flower’s footpath due to the weather conditions on the top. From Passo Paradiso (2.590 m) walk along the little Laghetto di Monticelli inferiore (the lower lake of the Monticelli) and turn then right. Take the path n.44 that climbs quickly into a scree, where you'll find a monument to the WWI fallen men; barbed wire used to hinder a possible Austrian attack to the Pass can be seen everywhere. 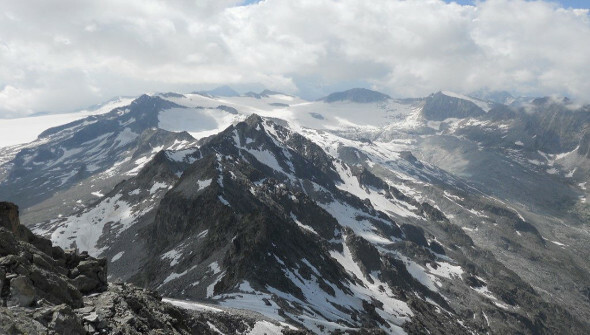 In about 1 hour you reach the Castellaccio Pass (2963 m), where you can have a great view on the Adamello-Presanella group. The Flowers’ footpath starts from here and runs along the crest for about 1.45 hours, till it reaches the Capanna Faustinelli. It is an equipped trail, recently restored, in a spectacular environment which is marked by the signs of the WWI. 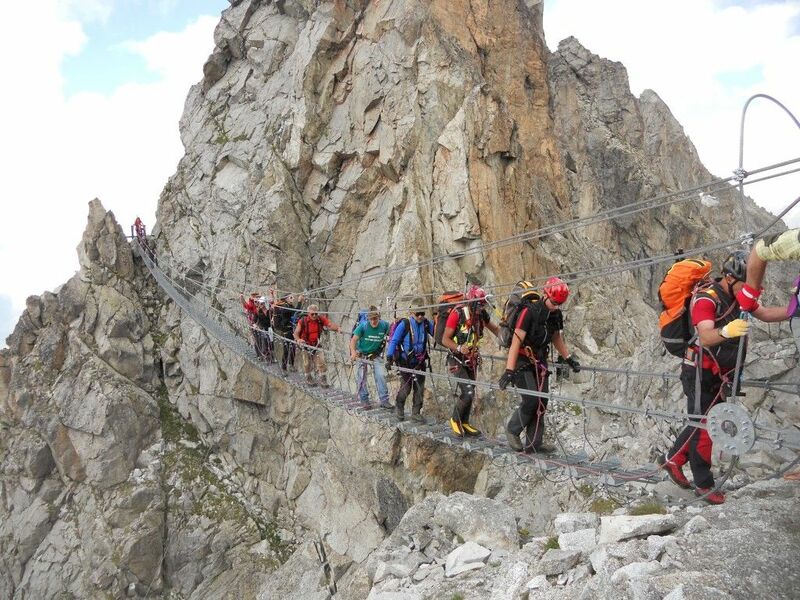 Put on your climbing harness and the via ferrata kit on the Pass, and then you can start to walk. The first part follows the ledge with the help of metal ropes and boardwalks and leads to the small pass called “Gendarme di Casamadre”, from where the footpath continue along two footbridges, the first one is 75 meters long, the second one 55 meters. In July 2011 they were restored according to the photos taken during the Great War. 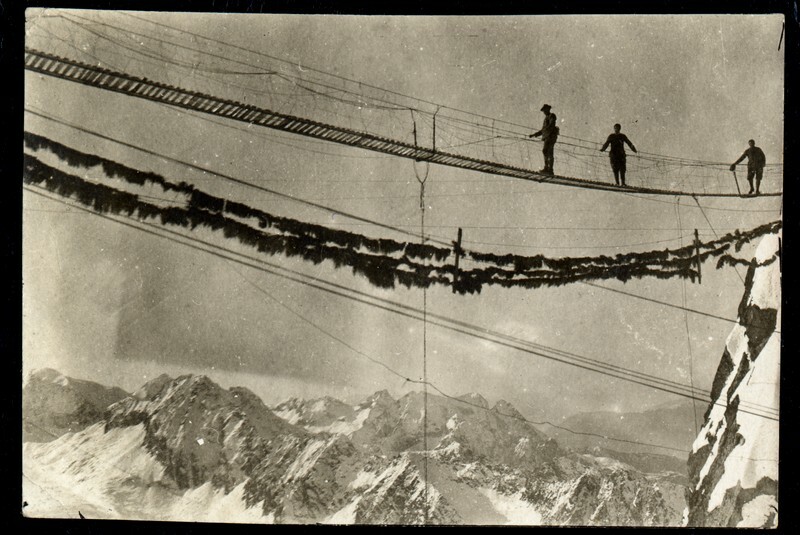 As soon as the Italian soldiers arrived in this place at the front line, they built these hanging bridges in order to reach the military village of Lagoscuro pass. If you walk hanging in the empty space it is not difficult to taste a little more what the Alpine War was, especially if you try to imagine being in the winter time. In 1918 a tunnel was then dug in order to provide an alternative way to the aerial walkways and assure a better shelter from the Austrian snipers. You can walk in it, the entrance lays short before the starting point of the first footbridge (a torch is useful). The path continues then to Capanna Faustinelli (also called Capanna Lagoscuro), a small hut from the war time, then restored, at the foot of the Corno Lagoscuro (3165 m), where you can sit outside and have a break (the hut is often closed, for information contact the Amici di Capanna Lagoscuro). The landscapes is breathtaking, overlooking the range of the Rhaetian Alps. From here you have two possibility for the way back. 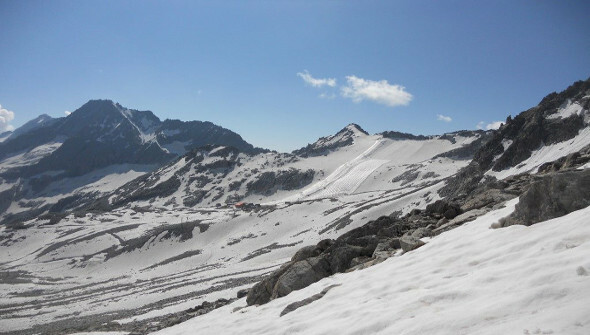 Descend in direction of the underlying Lagoscuro Pass and after few rocks, on your left, you will find a signal-path with direction Refuge Capanna Presena, where you can also eat. This alternative enables you to avoid the Presena glaciers and is quicker. 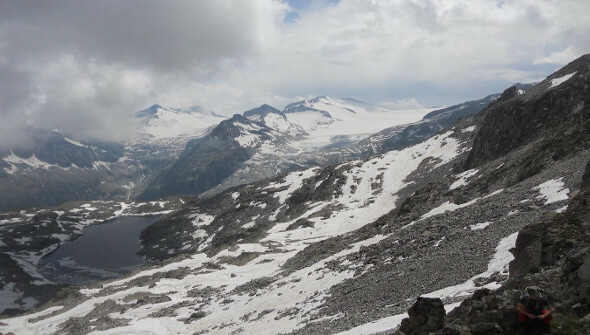 Otherwise, walk to Lagoscuro Pass (2070 m), from here you can reach in 1 hour the underlying lake, then climb in about 45 minutes to Maroccaro Pass, reach the Presena glacier and then in half an hour the Refuge Capanna Presena. From here you can reach by chair lift Passo Paradiso, and then by cable car Passo Tonale. 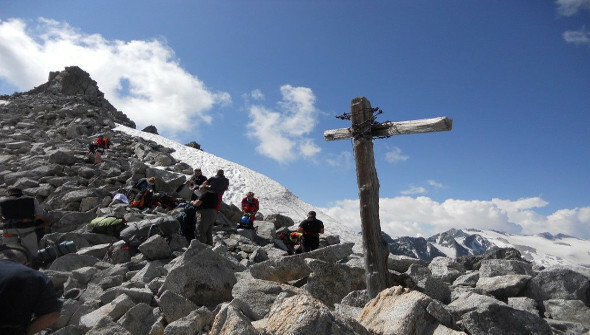 For further information or for support in planning your trekking we suggest to contact the Guide Alpine Adamello. No travel itinerary anticipated this photo reportage, that aims to be a simple collection of photos taken last August, cycling freely nearby some villages along the middle course of the Piave. This shows you the places from where the World War I Bridges project has started, before becoming bigger and richer thanks to the new contributes. You see the river from the Salettuol road bridge, the typical summer vegetation covering the river's gravel bed, the Papadopoli Island (the crossing point of the Piave line for the British and the Italian armies during the final battle of Vittorio Veneto in october-november 1918), the hamlets of Tezze di Piave with the British Cemetery and the one of Borgo Malanotte (just beside Tezze) that turned into a relevant position for the Austro-Hungarian logistics operations and radio transmissions after Caporetto and was famous for its bunker. In the Cemetery of Tezze we count 356 burials. Many of those deaths were caused by drowning while passing the Piave. Among the digital projects that try to collect and connect "cultural heritage" the one of Europeana collections 1914-1918 is for sure of the most prominent. The main "tool" to grow these collections has become the so called "collection days", public initiatives modeled as a road show where people can meet experts and bring their memorabilia (postcards, letters, relics, documents etc) on the spot and start in this way a digitalization process, the beginning of shared knowledge. The next collection day in Italy will take place in Pordenone, in the region of Friuli, be during the literary festival Pordenonelegge, the next 21st of September. The preparation of the event is by WW1-dentro la Grande Guerra Cultural Association, that we already met in the words of the interview with Emanuela Zilio. Like she said "“Europeana 1914-1918 - Your family history of World War One” is another amazing operation which surprised even the project leaders because of the huge amount of memories people are bringing out all around Europe. 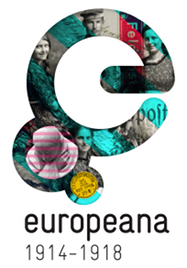 Europeana DB is open and its contents, as well as WW1 ones, go under the Creative Commons Licence CC BY – NC – SA." Here below is the press release (pre-registration is recommended at this link). In preparation to the 100th anniversary of World War One in 2014, WW1-dentro la Grande Guerra Cultural Association, responsible for the immersive platform of the same name, and pordenonelegge.it have set up a new Collection Day, whose scope includes both Italy and Europe, to be held in one of the “hottest” regions of the conflict, Friuli Venezia Giulia. In recent years Europeana, the digital European archive-library-museum, has started a major task of digitizing, preserving and publishing records and documents from the Great War. The WW1 project connects the public contents coming from the archives of the Companies that made our Country’s History with those from the Defense Ministry’s Historical Archive as well as from the Popular Writing Archives, from Onorcaduti and Europeana’s private memories collection. The cultural legacy of the soldiers who served in World War I - both casualties and survivors, will be made available to the public thanks to the precious work iStoreco and Cimeetrincee have developed in recent years and to the collaboration of sympathetic associations like the Military Historical Center (MHC) of Udine, Italy, which have always cared about the "human" issue. The new technologies provide a strategic language to reach a wide public because they create an easy and immediate access to issues often perceived as difficult or “bookish” and mostly uninteresting. During World War One the Italian Army recruited over five million men, mostly “peasant-soldiers”. The casualties amounted to nearly 600,000, a huge death toll. In our regions, Friuli Venezia Giulia, Veneto, Trentino and Lombardy the whole population suffered the war directly, was evacuated, suspected to be pro-Italy or pro-Austria, imprisoned, and deeply scarred by this experience. Every Italian family of a hundred years ago lost some of its members in the war, whose memory every family today keeps and cherishes. Now everybody can contribute to the preservation of his/her family narratives back in that critical time and share and disseminate them. "However, Hull City Reserves and Halifax Town both played in the Midland Counties League and met twice in 1914 - on 3 October and 12 November - so one of these matches may be what Gibson has in mind". This poem is really a shocking and incisive example of the crossings of everyday war life, friendship and some echoes coming from the life far from the trenches in form of sport matches. And cursed, and took the bet; and dropped back dead.